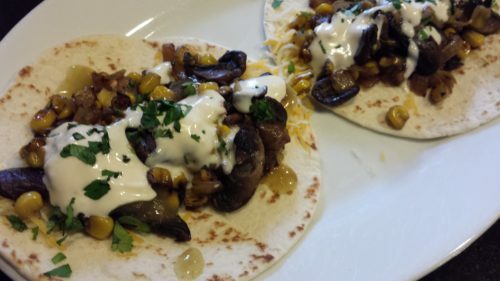 Vegetarian Tacos with Roasted Corn and Mushrooms. 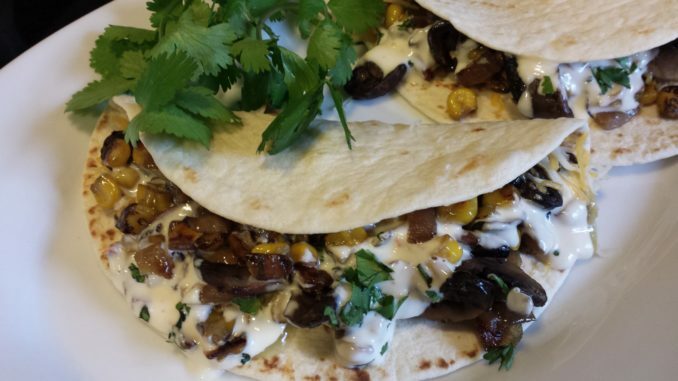 I like to celebrate #MeatlessMonday and even #TacoTuesday with tasty vegetarian dishes. This vegetarian soft taco recipe is a cousin to my Roasted Corn Enchiladas. 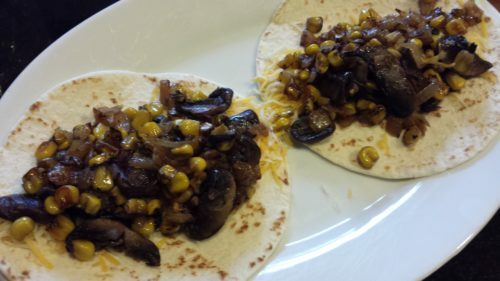 The filling for my Vegetarian Tacos is a mixture of sauteed mushrooms and onions with some roasted corn and a dash of dried Mexican oregano. It’s best served with warmed fajita-sized flour tortillas. I top the tacos with shredded Mexican cheese mix, the roasted corn and mushroom filling, a dollop of sour cream or drizzle of my Chipotle Cream Dressing, and a sprinkling of cilantro or sliced scallions. Diced tomatoes add a nice pop of color to these tacos. 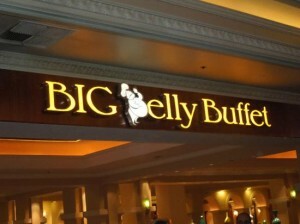 In keeping with my Eating Healthier activities, I’m trying to cut back on the amount of meats that I eat. 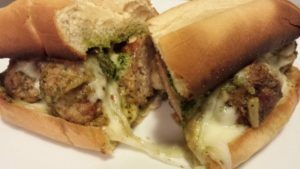 Sure there’s plenty of dairy in this recipe via the shredded cheese and Chipotle Cream Dressing — but that can be cut back as well. Eating plant-based foods is a good practice that I’m trying to follow. 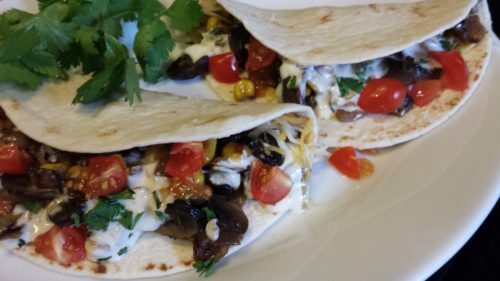 I use Mexican oregano as the main spice in these tacos. 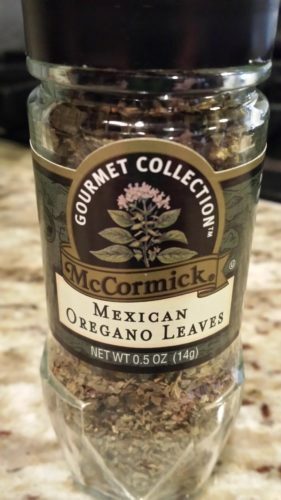 Mexican oregano has a different flavor than the Mediterranean oregano or Greek oregano that are popular forms of oregano in the US. You could add some cumin or chili powder along with the Mexican oregano if you like more spice. Saute some chopped onion in olive oil over low heat in a skillet until the onion is slightly caramelized. Add some minced garlic and Mexican oregano and cook for a minute or so. Add some sliced cremini mushrooms and saute until the mushrooms have softened. Add some roasted corn and heat through. Warm some fajita-sized flour tortillas in a foil package in the oven. 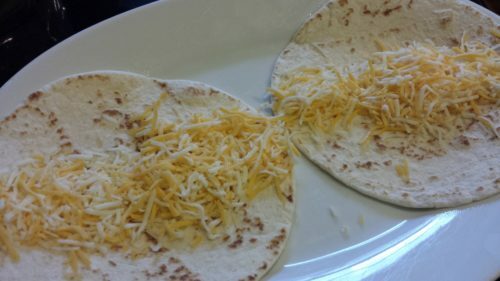 Fill the warmed tortillas with shredded cheeses. Then add the roasted corn mixture. Top with some sour cream or my Chipotle Cream Dressing, and some chopped cliantro or sliced scallions. Add some diced tomatoes for color and fold the tortillas over to make tacos. And serve! This veggie combination is stellar together. 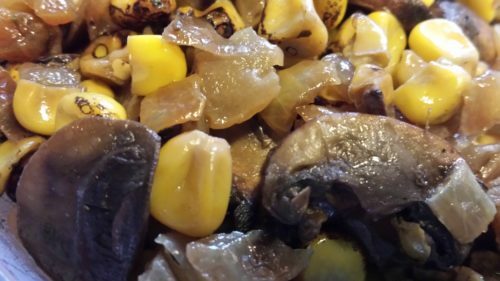 The mushrooms are meaty and rich and the roasted corn provides a very smoky flavor. Hope you like it as much as I do! 1. Preheat your oven to 300 degrees Fahrenheit. 2. 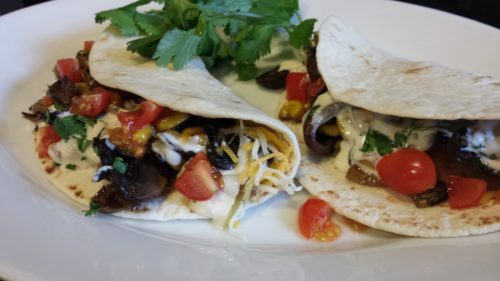 Wrap the flour tortillas in foil packages, two per package, for more even heating. 3. In a non-stick skillet over low heat, warm the olive oil. 4. Saute the onion in the olive oil until slightly caramelized. 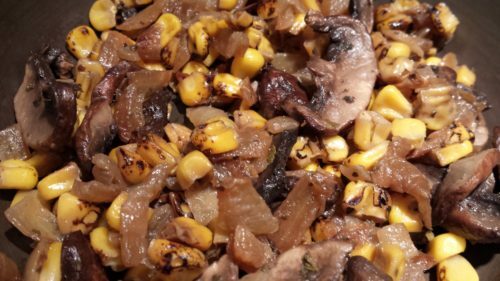 The caramelization adds flavor to the taco filling. 5. Add the minced garlic and Mexican oregano, stir, and cook for a minute or two. 6. Add the sliced mushrooms and cook until the mushrooms have softened. 7. Now add the roasted corn and salt, stir, and warm through. 8. Warm the tortilla packages in the oven for a few minutes. 9. Remove the tortillas from the foil. 10. Divide the shredded cheese amongst the tortillas, two tortillas per person. 11. Spoon the roasted corn filling over the shredded cheese. 12. Drizzle some of the green chile salsa over the roasted corn filling. 13. Add the sour cream or Chipotle Cream Dressing to the tacos. 14. Garnish with some chopped cilantro or sliced scallions and the diced tomato. Fold the tacos over before serving. Makes 4 servings with 2 tacos per serving. Offer with a side of My Favorite Guacamole and a side of vegetarian refried beans. Try my Hot and Spicy Black Bean dip with tortilla chips as an appetizer. You could set out the warmed tortillas, filling, and toppings and let your guests assemble their own tacos. Variations: Add some cooked diced potato when you are cooking the onions. Add some chopped or sliced zucchini squash when you start to saute the mushrooms. Add some fresh spinach leaves after the corn and stir until the spinach has wilted a bit. 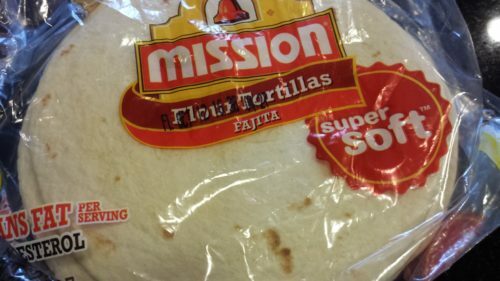 Try 4 burrito sized flour tortillas for giant tacos. 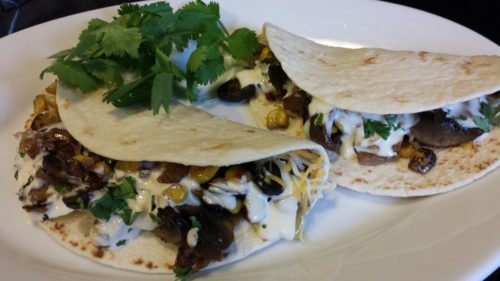 Use the roasted corn mushroom mixture and cheeses as a quesadilla filling and dip into the green chile salsa and Chipotle Cream dressing. Use gluten-free tortillas to make this a gluten-free meal.